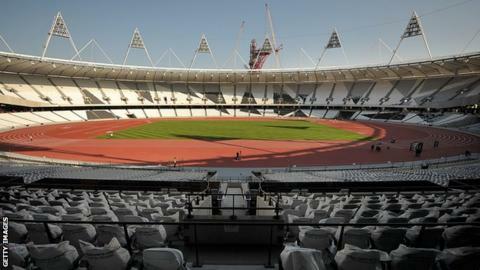 Betting patterns will be monitored for any suspicious activity on a daily basis during the London Olympics. British Olympic Association chairman Colin Moynihan said that plans will be in place to combat the threat of 'fixing' and illegal betting. The Gambling Commission, police, government and Olympic officials will hold daily meetings during the Games. "Betting exchanges will be monitored closely as there is the possibility of betting to lose," said Moynihan. "Every morning there will be a meeting of the Gambling Commission, who will work with the Metropolitan police and (organisers) LOCOG, the border agency and International Olympic Committee (IOC) representatives on that working group to analyse any unexpected or significant movements in the markets." Moynihan said that British athletes would be banned from any gambling activities during the Games. Those who had made bets before their selection will be asked to declare their position to avoid any problems once the Games start. IOC president Jacques Rogge has warned that illegal betting is as big a danger to the integrity of sport as performance-enhancing drugs. Sports Minister Hugh Robertson agreed that the threat needs to be closely monitored. "Up until this point, illegal betting has not been a huge problem at the Olympics," he said. "But it was difficult to monitor in Beijing, and this is a new threat and an evolving threat. Betfair, the world's largest betting exchange, said last month that it had agreed to share information with the IOC on potentially suspect gambling at the Olympics.